The Army is a powerful fighting force defending and serving our nation by land, sea and air. Elite groups within the Army, such as the Army Rangers and Special Forces, receive specialized training for advanced combat situations. In addition to domestic bases, the Army has permanent stations in Asia, Europe and the Middle East, as well as troops on the ground wherever there is a conflict. Length of individual service commitment varies, and in some cases may be as little as two years. As warfare has evolved, so too has the Army’s oldest branch, the Infantry. In this video, you’ll watch an in-depth primer on this venerable fighting force and the men and women who serve. The Springfield Model 1795. The first musket to be produced in America. Borrowing from and improving on what had come before—much like the country it was forged to protect—it’s fitting that this weapon would come to represent the Soldiers of America’s Infantry. The oldest branch in the Army, Infantry is home to some of the most decorated units to ever enter combat. But as warfare has evolved, so has the role of Infantry. Whether by air, by wheel, by track, or by foot, today’s Infantry will employ a diversity of tactics and systems as they close with and destroy the nation’s enemies. All Infantry careers begin at Fort Benning, Georgia; as part of One Station Unit Training, Infantry Soldiers first undertake Basic Combat Training before transitioning directly into Advanced Individual Training. These Soldiers will be introduced to all weapons used by the Infantry: the M4 carbine rifle. Grenade launcher. Squad automatic weapon. M240B machinegun. As well as grenades, mines and demolitions, and anti-tank weapons. Infantry Soldiers train to fight on not just the traditional battlefield, but also the urban landscape; as well as environments exposed to nuclear, biological, and chemical arms. Armored vehicles such as the Stryker and the Bradley Fighting Vehicle are incorporated to simulate real-world ops. Similarly, helicopters—so critical to force mobility—are also utilized. Further training based on the Army's needs will be as Infantry or Indirect Fire Infantry. The Infantry of today does not just patrol. Fighting positions for vehicles and personnel must be constructed and camouflaged. Fortifications, barriers, and other obstacles must be built or emplaced. There will be recon missions that require Infantry support. For Indirect Fire Infantry units, the ability to rapidly establish and fire their man-portable or vehicle-borne mortar is key. They know team members down range are depending on them to bring their firepower to the fight, and the rounds they rain down may decide the day. For many members of the Infantry, all of this begins a pattern of continued personal growth; advanced schools such as Airborne, Pathfinder, Sniper, Ranger, and even Special Forces, may lie along that path. Generation after generation, America has depended on them to be her strength in war—her deterrent in peace. They go where the fight is most fierce, shouting “Follow Me!” as they lead the way. To enlist in the Army, you must be between 18 and 34 years old (17 with parental consent). You must be a U.S. citizen or resident alien. A high school diploma is preferred, but a high school equivalent such as the GED may be accepted. You must also take the Armed Services Vocational Aptitude Battery test and a physical fitness exam. Some jobs may have additional requirements. 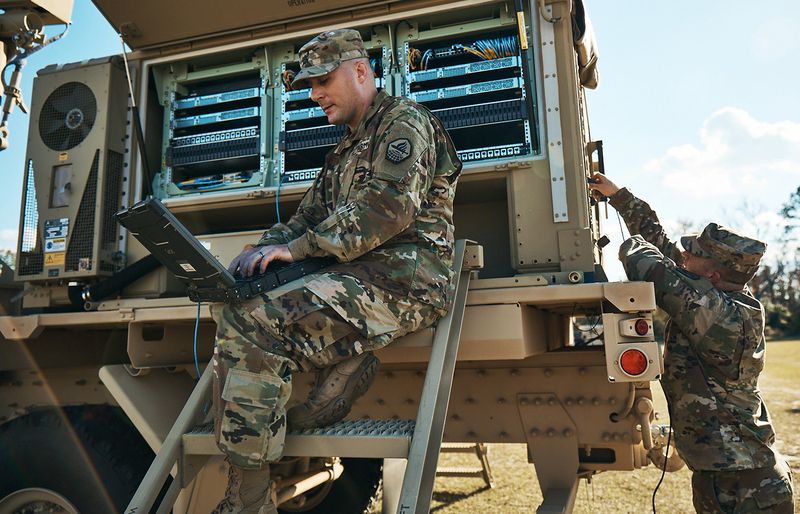 The Army offers more than 150 career employment opportunities across various disciplines, including aviation, cyber, information technology, health care, aircraft maintenance and Special Forces. No matter your specialty, you'll receive top-notch training and the experience to handle whatever future career opportunities come your way. Find out which full-time Army opportunities are right for you or get information about part-time service in the Army Reserve or the Army National Guard. A competitive salary is just one of the employment benefits of Army service. All Soldiers receive health care, housing and food allowances, as well as educational opportunities. The Blended Retirement System offers guaranteed retirement pay after 20 years of active-duty service (and reaching age 60 for Guard and Reserve) in the form of a monthly pension or lump sum in addition to retirement pay options for those who serve less than 20 years (please speak to your recruiter for more information). When damaged Army aircraft are in need of repairs to once again become flightworthy, specially trained Aircraft Structural Repairers call upon their skills to fix what is needed. The Army’s primary air transpirt is the helicopter and like all aircraft these vehicles are subject to damage. The Aircraft Structural Repairer plays an important role in assessing and repairing the damage these vital vehicles sustain. The most extreme damage usually occurs during combat operations, but severe weather and unforeseen accidents, plus the stress of everyday operations, all take their toll on these powerful machines. To keep them flying, the the Aircraft Structural Repairer repairs on all sections of the aircraft’s external frame…from the rotor blades to the landing gear. After successfully completing 10 weeks of Army Basic Combat Training, you will attend Advanced Individual Training at Fort Eustis, Virginia. You will be trained to interpret technical manuals and directives containing schematics and repair procedures and to follow instructions on how to properly use common tools, pneumatic tools, and precision tools. You’ll train to remove and install various types of rivets that hold aircraft panels together and train to make simple patches on metal surfaces or replace entire panels when needed. Modern Army aircraft use many composite materials, so you’ll train as well to repair or replace entire parts made of fiberglass, Carbon Fiber, and other substances. After your advanced individual training, you’ll perform rewarding work where you may make emergency or permanent repairs to transparent plastic widows, use precision gauges to assess the classification of damage, and use the proper tools to cut sheet metal or heat-treat metal. Additional duties may include applying corrosion-preventative treatments to aircraft metals and safely storing hazardous materials. Serving as a Aircraft Structural Repairer can help you transition from the military to the civilian employment sector because your abilities in leadership, teamwork, and problem-solving skills and values are in demand. Helicopter damage may occur anytime, on or off the battlefield, and as a Aircraft Structural Repairer you’ll use your skills and knowledge to return these aircraft to full working condition. In addition to a variety of fixed-wing aircraft, the Army deploys a number of rotary aircraft, such as helicopters, that require special skills to maintain and keep in top-notch shape. The UH-60, known as the Blackhawk, is one of the Army’s fastest and most maneuverable helicopters, designed to move troops and cargo in Army tactical resupply missions and for medical evacuations. As a UH-60 Helicopter Repairer you’re a member of the maintenance team that keeps them ready for action. After successfully completing 10 weeks of Army Basic Combat Training, you will attend 15 weeks of Advanced Individual Training at Fort Eustis, Virginia. The Army will train you to follow technical manuals, keep proper service records, and to identify and use tools of the trade, like a ratchet to tighten control rods, multi-meters to check for continuity and voltage, micrometers to measure critical components, and torque wrenches to tighten bolts to specific values on all aircraft systems. You’ll train to troubleshoot aircraft systems using the Blackhawk maintenance trainer, and to repair or replace parts like the main rotor head, hydraulic pump, tail rotor drive shaft, stabilator actuator, and turbine engine. You’ll also train to perform periodic maintenance by taking oil samples from the gear boxes, checking the blade indication method on the rotor blades, and inspecting aircraft components. After your Advanced Individual Training, you’ll perform rewarding work as a member of an aviation unit. Where your duties may include checking lines and hoses for wear or leaks, replacing oil and filters, and keeping detailed log books. You’ll also move aircraft for maintenance, prepare aircraft for flight, operate the aviation ground power unit, or serve as an air crew member. Serving as a UH-60 Helicopter Repairer can help you transition from the military to the civilian employment sector because your training will prepare you to work on civilian aircraft including fixed wing aircraft. You can ensure the Blackhawk is in topnotch shape to meet the Army's combat needs as a Military Occupational Specialt, UH-60 Helicopter Repairer. By design, Army vehicles take a beating. Fortunately, they’re never out of service for long when in the hands of Tracked Vehicle Repairers. The American Army has the most high-tech, up-to-date equipment in the world, and the men and women who keep this equipment at top performance are the Soldiers in the Tracked Vehicle Repairer MOS. The Army will train you to remove and repair tracked vehicle components, such as engines, transmissions, steering controls, and hydraulic systems, vehicle air and liquid cooling systems, tracked hull electrical systems, and fire extinguisher/suppression systems. You’ll also repair the tracked vehicle using battlefield damage assessment and repair—or BDAR. You’ll also train to use advanced tools like digital multi meters and diagnostic equipment. In addition, you’ll be taught to use electronic technical manuals, as well as complicated wiring diagrams and different types of schematics. As a Tracked Vehicle Repairer, you’ll also train to replace engines, transmission breaks, injectors, and diesel power plants. After your advanced individual training, you’ll perform rewarding work where your duties may be repairing various vehicles in a shop or working in the field operating vehicles such as the M88. For this work on tracked vehicles, you’ll have a complete tool box, including the Army’s best power tools. Serving as a tracked vehicle repairer can help you transition from the military to the civilian employment sector because your skills in leadership, teamwork, and problem solving, combined with a more developed sense of responsibility, self-discipline, and motivation are skills and values in demand by civilian employers. Keeping these high-tech, up-to-date Army tracked vehicles in action by maintaining and repairing them is the job of the men and women in Military Occupational Specialty…Tracked Vehicle Repairer. Army mechanized units require fuel to fulfill their missions, and Petroleum Supply Specialists are part of the lifeline that ensures this invaluable resource reaches them wherever they’re deployed. Petroleum Supply Specialist. Today’s Army requires fuel to meet its missions, and this MOS supplies it. The Army will train you to load and unload bulk fuel, supply and store it from a variety of sources. Soldiers will perform quality surveillance, and distribute it to keep the Army in a high state of readiness. It’s crucial for the Army to operate and maintain petroleum distribution equipment for the loading and offloading of fuel from rail cars, fuel tankers, and barges to fuel our combat equipment. You’ll also train to operate and maintain a variety of fuel pumps, repair stationary fuel storage depots, install bulk petroleum storage systems and tactical storage systems, which are major components of the Inland Petroleum Distribution System. In addition, you’ll train to ensure product quality and equipment are serviceable daily by performing preventative maintenance checks and services. Today’s Soldiers will learn to deploy the Modular Fuel System, Tank Rack Modules that provides a means for receipt and storage of bulk petroleum to be issued to combat forces. Soldiers will be capable of operating the Twin Agent Unit in order to put out fires that ensures safe petroleum operations. Soldier will discuss what attracted them to this MOS i.e. experience, training, college credit, and certifications for their civilian careers in Petroleum. Serving as a Petroleum Supply Specialist can help you transition from the military to the civilian employment sector because your abilities, leadership, teamwork, and problem solving skills. These values are in high demand by civilian employers for the foreseeable future. Soldier describes why they enjoy training. Petroleum Supply Specialists play a critical role in keeping the Army on the go. So join us in Military Occupational Specialty, Petroleum Supply Specialist.